You've just kicked off your first 90 Seconds project, but what happens next? Sit tight and we'll walk you through what to expect. How am I matched with my Creator Team? 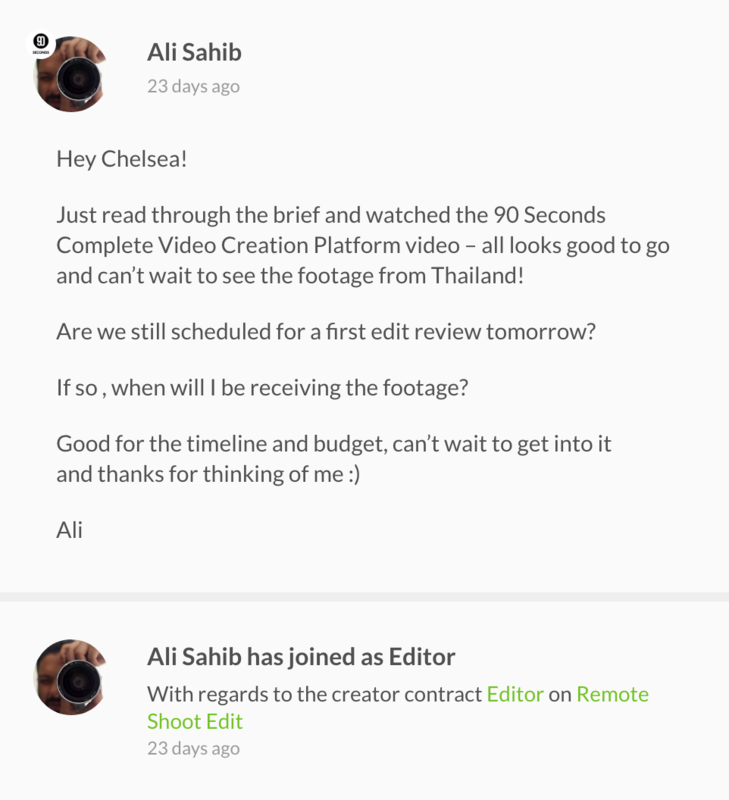 Creators are matched to projects based on your exact video needs. Your Project Producer is an expert in Video Creation and knows exactly what type of experience, skills, and equipment is needed to create the video of your dreams. Every 90 Seconds Creator goes through a comprehensive technical activation process with our Community Managers, ensuring that our network is fully vetted and approved before being able to accept jobs. How will I know who my Creators are? Once a Creator joins your project you will be notified via the Activity Feed and you'll be able to start communicating with them in real-time. Each Creator brings a wealth of both creative and technical experience to your project, so feel free to lean on them for suggestions when it comes to things like lighting, framing, shooting specs etc.